The GFZ-S line of Heger coarse and fine crushing systems crushes bulky mouldings made of EPS (Styropor®), XPS, EPP, EPE or PUR into the required grain sizes extremely efficiently. 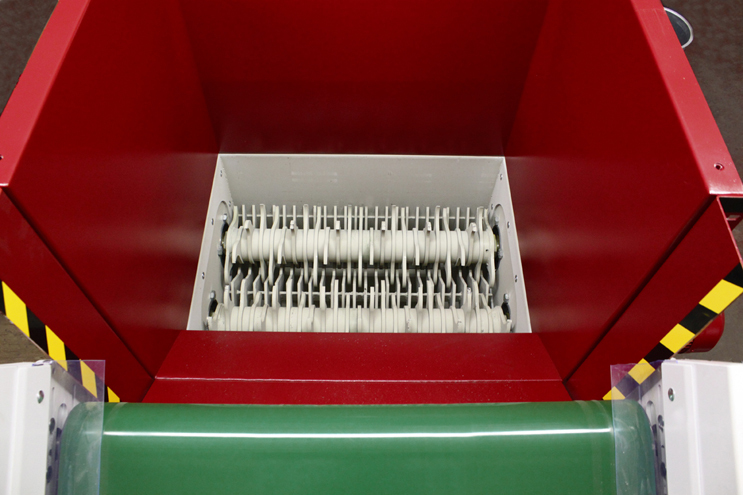 The screening inserts of the fine grinder are available in all commercial mesh sizes. The Heger GFZ-S line is the ideal solution for EPS/EPP moulding manufacturers to completely trace defective parts back to the production process. Heger coarse and fine crushing systems are also dependable when used in the Poroton industry, for manufacturing lightweight concrete (Thermozell®) or within recycling facilities. 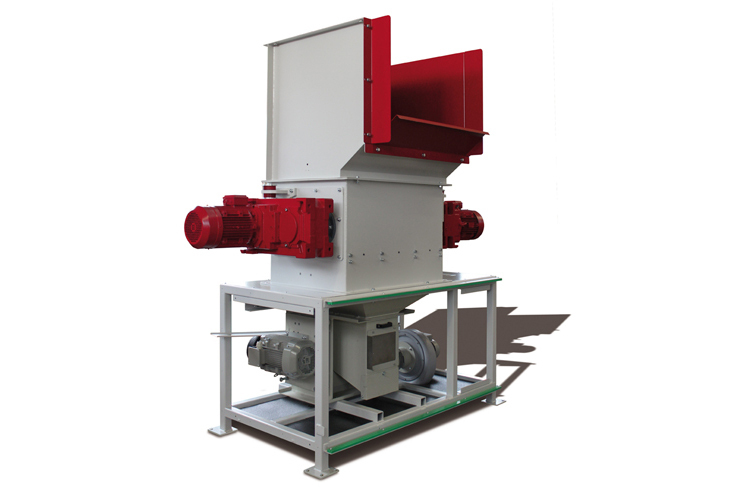 The material can also be processed further using supplementary screening and dust extraction systems or corresponding mixing and dosing systems from Heger. 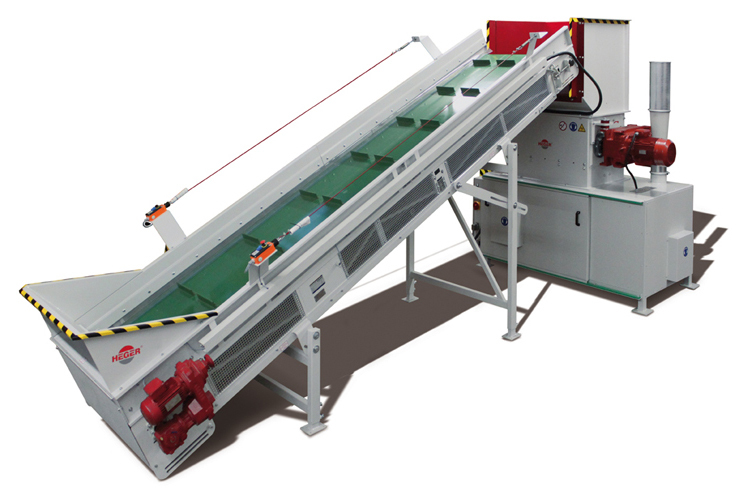 Heger crushing systems are designed for high throughput capacities. A feeding belt which allows the system to be filled even more efficiently is the perfect supplement. Primary crushers with filling widths of 700 to 1,400 mm and various ripper tooth variants are available for specific applications.